Blog Posts – Page 2 – Kathy J. Marshack, Ph.D.
Take power picnics. Pack brain-health foods, walk to someplace quiet and journal about what you’ve accomplished, what you hope to accomplish and how you’re going to do it. Physical activity in the great outdoors, healthful fuel for your brain, and serene reflection all spark creativity. This really recharges your batteries. Do it! What part of your self-care have you been putting off? The act of putting something off creates stress in your brain, because it’s always there in the background. Now’s the time to act! Reading a good book, picking up a paint brush, or getting your skis out of the closet may just be the ticket to your weekend adventure. Disconnect from all electronic devices. Turn off the noise so you can think without distractions. Cooking with your family. This can be a happy, healthy bonding time. If you’ve never prepared a meal with your family before, be patient and don’t get too uptight. Put on some tunes, find a good recipe, and give it a try! Create a bedroom spa experience. Pretend you’re at an expensive salon, turn off the phones, light some candles, set out your finest robe, take a relaxing bath, and go to bed early for a quality night’s sleep. If you have a partner, offer to give a massage one night in return for a massage the next. Ignite your joy. Increase dopamine naturally by engaging in meaningful and beneficial activities. Play with your loved ones. Volunteer to help an elderly neighbor. Challenge yourself physically. If you want to keep your brain healthy, exercise! Don’t compare yourself to anyone else but yourself. Look for ways to incrementally increase the intensity and duration of your exercise. If you walk ½ mile today, walk ¾ mile tomorrow. If you walk on level ground, find a hill. Walk for 15 extra minutes. Just keep finding ways to challenge yourself to do more. Try something new, like rowing a boat or taking a dance class. Take a walk down Memory Lane. If it’s been a while since you worked on a scrapbook or photo album, the weekend is a perfect time to preserve and reconnect with your life. Why not make a pact with yourself and with me right now to schedule at least four Wellness Weekends this year. Come over to my Facebook Page and tell me when you’re going to take them and what you’re going to do. Most of the time, people are so busy with work and life they tend to make adjustments in life only when there is a major crisis. They quit smoking and lose weight when they’ve had a heart attack. They curtail spending habits, when the house goes to foreclosure. They consider their marriage, when a spouse leaves. Yet, change is inevitably happening every day, and when entrepreneurial couples harness the energy in change, you can create meaning or purpose out of it. It puts you in charge rather than in a reactive position of always fixing problems. In simple terms, you don’t have to be sick to get better. Some of those signals are subtle, such as feeling bored or confused. Another subtle signal is sticking with a habit that doesn’t now produce the desired results, although at one time it may have been useful. Turning points in life signal change. You can learn to use these developmental milestones to reset your course. Your goal should be to access purposeful growth instead of just changing for the sake of change. Changing jobs or starting a new business because you’re bored will not guarantee success. When the newness wears off, you may find yourself once again in the same predicament, unsatisfied with your life. Being alert to these subtle warning signs of change helps you proactively recognize opportunities that will benefit you, your spouse, and the business. Often we miss the wide scope of possibilities. 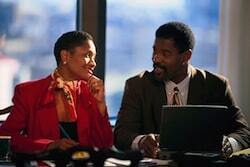 Therefore seeking advice helps you discover a wider range of opportunities. By focusing on changing yourself first, you expand your consciousness through life-enhancing activities and continual education, which leads to self-awareness. You can then take positive steps toward your commitment to getting and staying physically, mentally, and spiritually healthy. You become more skilled at resolving immediate problems, correcting past mistakes, and moving ahead with the new opportunities. This approach also enables you to encourage the development of your spouse, partner, employees, and children, which benefits you, too. Changing from a problem-solving mode into self-awareness and growth may be difficult, especially for busy entrepreneurial couples. I’m here to help. Please feel free to contact my Portland, Oregon or Vancouver, Washington office to schedule a consultation. If you live elsewhere, take a look at remote education for entrepreneurial couples that allows us to connect via video or telephone conference. The possibilities for your life, your partner’s life, and your business are unlimited. Learn more in my book: Entrepreneurial Couples – Making it Work at Work and Home. Grab your Kindle edition here. To live a long time and to live it happily may sound like an impossible dream. But I’m confident that you have the resources within you to make it happen.In times past, business moguls sacrificed everything to make it big – their health, their marriages, their family life, and often, their dreams and values. Personal happiness wasn’t even on their radar. They seldom lived long or happily. Fortunately, entrepreneurs today are learning that you don’t have to be the hard drinking, chain-smoking, chronically stressed executive to be a success. They have discovered the wisdom of common sense self-care practices that are simple, but very powerful! Since you’ve heard all of this before, I invite you to think deeply about whether your current choices are helping you reach your goal of a long and happy life. If not, pick one of the following suggestions to work on. 1. Don’t smoke. Some people say, if they don’t smoke, they’ll eat and gain weight. Other people claim it’s the only way they cope with stress. You can make excuses or you can find more healthful ways of staying trim and handling stress. It’s your choice. 2. Avoid excesses – alcohol, fat, salt, stress, etc. When you take the time and effort to become more mindful about your choices, you’ll feel better, plus you’ll have the added bonus of feeling empowered, as you take back your life! 3. Maintain a lean body mass index. A person can be in the correct weight range and still be unhealthy, because they haven’t kept their muscles toned. Muscle does weigh more than fat, so focus on feeling toned, rather than checking the scales. 4. Don’t stop learning about yourself. Pursuing more education leads to better habits and healthier lives, if you focus on self-care and resilience skills. 5. Focus on the positive. If you feel your childhood messed you up, switch your focus to what went right. This shift in perspective makes a huge difference in your quality of life. And don’t lose your sense of humor. 6. Build a loving, support network. A loving spouse and trusted friends can heal old wounds. Invite happy people into your life. Remove toxic relationships. You’ll become happier when you focus on helping others. 7. Develop Radiant Empathy. Some people call it being socially adept. Others label it as emotional intelligence. I like to describe it as Radiant Empathy. That’s when you can give to others joyously, receiving from others gratefully, and are strong enough to true to yourself. Which one of these would you like to work on this year? If you’d like my assistance and live in Oregon or Washington, please take advantage of my online therapy. It’s an easy way to learn new strategies and keep yourself motivated. If all of these stages are not fully processed and extinguished, then grief can lead to other problems. While the above mentioned circumstances are tragic and not to be minimized, there are definite ends that help you start the healing process. You can find closure, as the saying goes. However, for some people there is no end. They’re in relationships where they choose not to seek a divorce or separation. 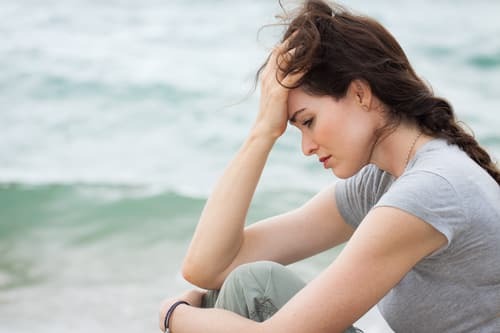 If you’re in a committed, yet very tough relationship that produces ongoing or unremitting grief, then it becomes a real challenge to preserve your identity and sanity. There are so many unique levels to grief when you live with loved ones on the Autism Spectrum Disorder Spectrum. Even if they’re high-functioning autistics, their brains won’t let them make the connections that create empathic feelings and behaviors. So when you continue to live with your Asperger partner, you keep triggering the loss. You feel it over and over again. This has been defined as “Ongoing Traumatic Relationship Disorder“. There is the grief over the lost dream of a relationship with an empathic partner. There is the grief from chronic verbal abuse. There is the grief of raising your children in the chaos of the relationship. There is the grief of never being able to have a voice in your life. There is even the grief over never being able to help your Aspie know that there is more, so much more to love and relating. If this describes your situation, I urge you to find a support group. There are relationship survival skills that can help you cope and even thrive in these adverse conditions. Many of my books share real life vignettes of people coming to grips with this issue. If you’re a member of my Asperger Syndrome: Partners and Family of Adults with ASD Meetup, please sign up for the low-cost video conference, “Surviving Unremitting Grief” on Thursday, January 17th at 4:00 PM PT and again on Wednesday, January 30th at 10:00 AM PT. Know that you’re not alone; that unremitting grief is a normal outcome of these very tough relationships. 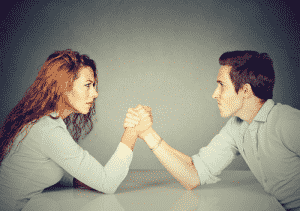 No More Power Struggles in Your ASD/NT Relationship – Is It Possible? There’s a big difference between a relationship where two people have differences as they work as a team toward shared goals and a relationship where the couple fights to “win” and be “right”. The first relationship is marked by love, caring, trust, respect and shared values; the latter is not.I don’t have an easy answer for this question actually. In the past, I’ve written about how entrepreneurial couples can avoid power struggles at work by putting away fears and egos. Yet these suggestions for avoiding power struggles or disengaging when they start just don’t seem to work with people on the ASD Spectrum. Their logical mind sees that you are “wrong” and they won’t let up until they wear you down. It’s as if there’s a volcano inside that is overflowing and can’t be stopped even when you capitulate. Autistic power struggles are different than meltdowns. They aren’t due to sensory overload or some other emotional disequilibrium that people on the Spectrum experience. Rather it’s their black and white thinking that seems to stump them. They tend to seize on a small point of disagreement and take it to the extreme. Within these five areas – emotional, sexual, psychological, economic, or physical – where do you feel the biggest power struggle occurs in your marriage, partnership, or relationship? Perhaps identifying this will help you begin regaining the personal power you’ve given away. If you’re a member of my Asperger Syndrome: Partners and Family of Adults with ASD Meetup, please join us for the next low-cost video conference, “No More Power Struggles”. It will be held on January 3rd at 2:00 PM PT and again on January 8th at 10:00 AM PT. Let’s use this time to talk more about why our Aspies engage in power struggles, but even more important is how to protect ourselves from these difficult moments. If the conference is full and you live near Portland, OR/Vancouver, WA, please contact my Jantzen Beach office and schedule an appointment. I also offer online therapy if that works best for your busy schedule. Did you know that people who regularly attend psychotherapy heal faster, have stronger marriages, and live longer? Our thoughts have tremendous power to influence our state of health and well-being. Since we can change our body chemistry with our thoughts and the Placebo Affect taps into this power, shouldn’t we learn to use it ethically? What is the Placebo Affect or Placebo Response? While definitions like this circulate, people will discount the value of the Placebo Affect, since they view it as “fake” medicine. They think that you have to be weak-minded people to be susceptible to its power. 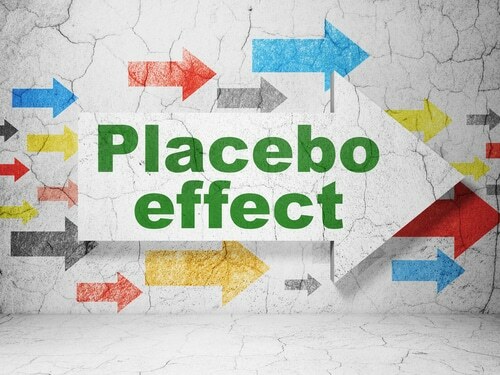 Therefore, you might be surprised that research is showing there are credible reasons for using the Placebo Effect in treatment. In a recent New York Times article, the writer Gary Greenberg reports on a recent conference that sheds light on this controversial subject. He gives some convincing arguments for the efficacy of Placebo Medicine. I especially found the genetic correlation to the Placebo Response intriguing. Also of interest is that researchers using fMRI machines have found consistent patterns of brain activation in placebo responders. There’s obviously more to the Placebo Effect than once thought. However, the point is that, for whatever reason, the Placebo Effect does have the power to make people feel better. Maybe because we call it placebo, instead of the name of a proper healing method, we find it hard to accept its benefits. An Ancient Greek healer Asklepios built a retreat center in the hills, where Greeks came to heal. He insisted that theater, exercise, diet, and peaceful surroundings were necessary for healing. He also administered medicines and surgeries. When Hippocrates came along, Asklepios’ was diminished. Now we, in the west, are locked into a regressive healthcare system by corporate insurance interests. 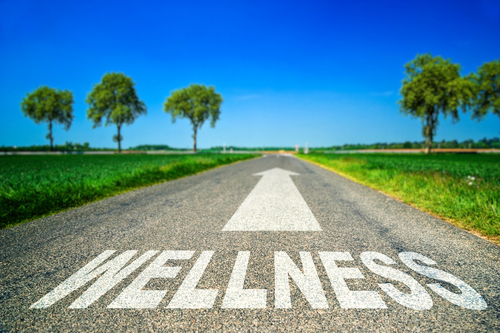 The human body has many natural healing mechanisms, if we only encourage people to use them. If you have a chronic condition that isn’t responding to conventional treatment and you’d like to explore holistic treatments that have proven to be very effective for my clients, and you live near Portland, OR/Vancouver, WA please contact my Jantzen Beach office and schedule an appointment. I also offer online therapy if that works best for your busy schedule.